Whether you're a freelancer or a full-time writer, the machinations of preview events teach you an important lesson: beware of what you haven't seen. But preview roadshows are also a handy lesson in understanding how developers and publishers see their own games - and, more importantly, what parts they think will appeal to the public the most. With Days Gone, I'm still waiting for that appeal to emerge. Jason, Kirk and Maddy touched on Days Gone recently in the Splitscreen podcast, describing it as "the most AAA-arse video game" imaginable. That's basically saying that Days Gone tries to merge every possible mechanic and system from every other AAA open-world game in recent memory, and after three hours with the game myself, it's pretty accurate. The preview build kicked off from the very beginning, showing an intro cinematic featuring Deacon St. John and his brother Boozer, both of whom are bikies. They're trying to evacuate Deacon's wife from the city via a medical chopper, only to discover that Boozer's been badly injured himself. Knowing that his brother can barely move and has no chance of survival on his own, Deacon gets his wife into the chopper and turns around. Shortly thereafter, the game immediately reveals that not only has the zombie - or freakers and rippers - outbreak continued to spread, but Deacon's wife ended up dying that day in a helicopter crash. After the game sets the scene, the next hour or so is a slow drip feed of mechanics and systems. You're riding along with Boozer, only to discover a fellow member gutted and lying by a statue. They give you a name before dying - and it wasn't a zombie attack - so it then becomes a mission of tracking down and hunting the person responsible. Tracking a person works about the same way you would expect in every other AAA video game - you hit a button, it scans the area, a bunch of footsteps are outlined and your "Survival Mode" powers are explained through some quick exposition (in this case, Deacon spent some time as a tracker). After a bit of a chase sequence, you get your first glimpse at a large "horde". It's about 50 or 60 zombies strong, maybe more, although they're miles away from the player in this instance. But it's enough to rattle poor Leon, whose on the brink of death following a firefight. Deacon then opts to shoot Leon rather than giving him a quieter death - why risk the attention of the horde with a gunshot? - and they return to their bikes, only to discover that Deacon's bike is missing parts. That's a foil to introduce the bike as a breakable entity, one that requires maintenance and regular scavenging - so off to a nearby tunnel you go, complete with some raiders to beat up along the way. Even factoring in the time jump, which was far forward enough for Deacon to have unlocked about six skill points, it's difficult to get a sense of where Days Gone is headed narratively. After fixing up Deacon's bike, you're headed to a cabin in the woods, a safehouse of sorts. Boozer's injured, so you wander off to fix up your bike - only to discover it's been ransacked for parts by people who didn't know better. It's a slow, drip feed of content. Along the way, more of the gameplay starts to bleed out. Crafting mechanics ala Horizon Zero Dawn for making molotovs, crossbow bolts and bandages. Third-person aiming that would have felt right at home in an Uncharted game. Lures for distracting zombies and human enemies, which is a thing you can find in just about every AAA game these days, even Battlefield. There's camps where you meet vendors and collect side quests, which populates your map with stuff to do. And as you do more stuff, you'll be able to slowly upgrade your character, who has the gruffness and approach of Jax from Sons of Anarchy. There's nothing wrong with that combination; there are plenty of AAA games that borrow mechanics and systems from others. It's how it all comes together that ultimately matters, and the reason underneath it all. And it's that part that I'm still waiting for, the hook that gets me completely invested. And it's here where past caution has proved useful. Before I started at Kotaku, I remember going to a preview of Wolfenstein: The New Order. It was a long session, almost five hours in total, and covered the first chunk of what at the time seemed like another down-the-line Nazi shooter. It wasn't until about seven hours into gameplay that The New Order flipped completely, and became one of my favourite games of the year - and one of the best shooter campaigns in the recent generation. But we saw none of that in the preview, and it's why I'm still cautious. 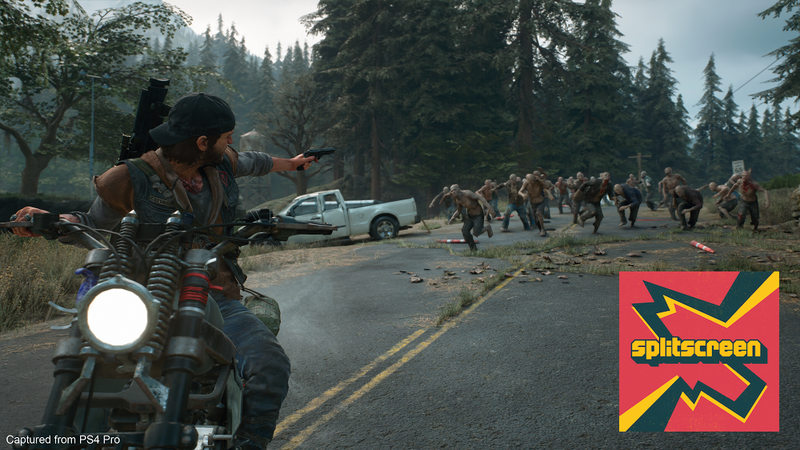 Days Gone has plenty of room to manoeuvre - the game has around six hours of cutscenes with about 30 hours of gameplay. That's plenty of time for a few twists or tricks that bring everything together, and with solid enough writing, voice acting and some convincing narrative design, there's no reason why it can't work. 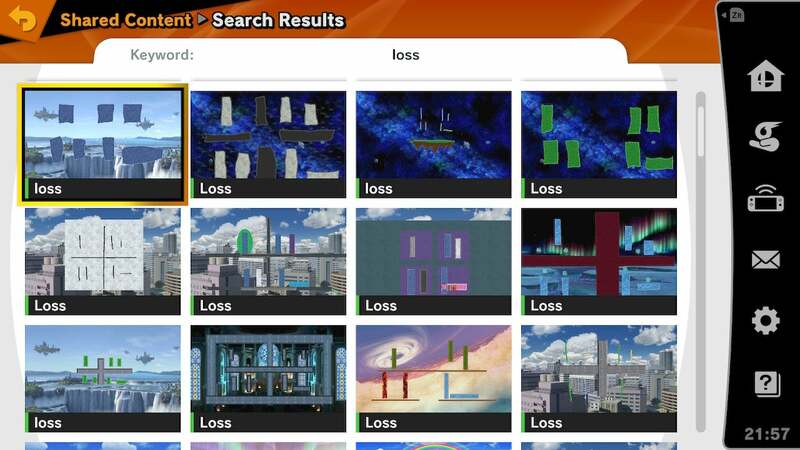 What I'm left with, then, is the raw mechanics that were on show. And what wasn't on show was truly massive hordes, at least ones the player might interact with. I ran into a horde on the mini-map that had four freakers in total. Another mission to clear out a bunch of zombies hovering slowly around a camp had no more than nine, and this was after time skip. The largest fight was one that Bend has shown off before, a mission in the first hour to repair Deacon's bike. You're asked to grab a fuel pump from a nearby petrol station, which is infested with a range of adult and child zombies. You're free to go in guns blazing if you want, but there's a wealth of bushes on the periphery that makes stealth the simpler, if slower, path forward. Stealth is almost always the preferred option, like State of Decay but not quite as clunky. You still have a stamina meter to deal with, and while it's relatively generous it's not something you can just ignore in the middle of a firefight. Fortunately, the visual range of zombies/freakers is pretty limited - especially at night - so it ended up being the humans who posed the greater threat. All in all, Days Gone played more like an open-world action romp than a survival game - unless you find yourself getting overwhelmed. But in the preview, that wasn't really what was on show. We'll have to wait until April 26 to learn what's really going on in the zombie-ravaged Pacific Northwest. I don't think it will be game of the year material, but it still looks like a lot of fun. I won't pick it up at launch, but I'm sure I'll get it eventually. Looks like an inoffensive game that will fill the void for those looking for a timesink. Sooo many other games to play though. Even if it turns out to be amazing, this is still a "on sale only" purchase for me. I already got too many (better) games to get into anyway.